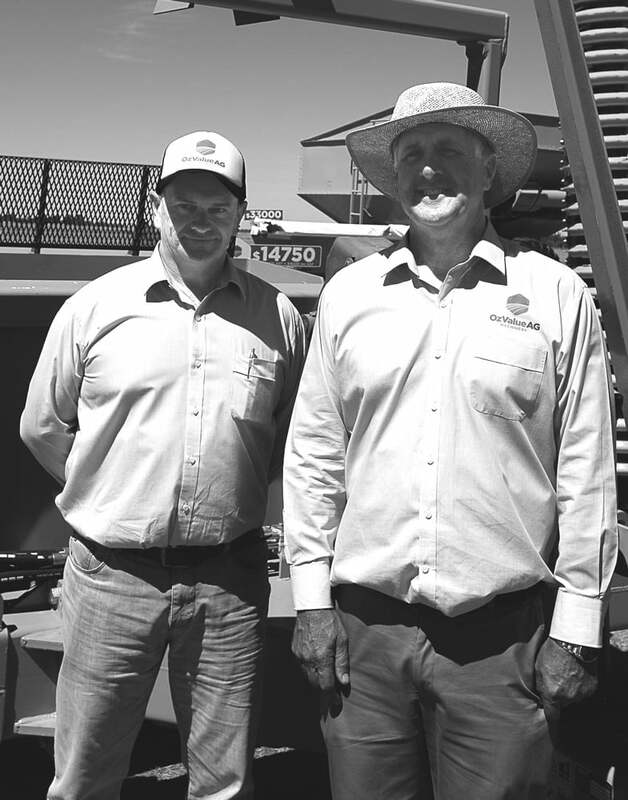 It all began in Ballarat with a simple discussion, between a Farmer and an Engineering company manager, about the high cost of quality farm machinery. The two eventually forming a partnership to deliver a better and more value driven way of importing and buying farm machinery. OzValue AG was founded in 2010 by Chris Findlay of Findlay Engineering and Noel Blackmore a farmer from Mannibadar. The pair embarked on a long period of research throughout the world, sourcing machines that met their value/quality criteria. The result is a selection of good quality, fit for purpose, well priced machines. Whilst focused on delivering value, quality is still OzValue AG’s most important consideration and this quality of machinery is supported by genuine after sales service. A lot of research goes into locating and finally importing each machine. Suitable machines are then analysed for durability and suitability with one side of the partnership focused on construction and build quality, and the other at the practical farming application of the machine. Typically, imported machinery from other retailers is imported by distributors, and then on-sold to dealers, who then sell to farmers. One of the main advantages OzValue Ag has is the ability to purchase in large quantities from the manufacturer and then find an economical shipping line to freight these bulk goods to Australia. By selling direct to the farmer OzValue AG also cuts out a layer of cost, and is not burdened with huge overheads like many of their competitors. Put simply this all results in a lower price for the customer. OzValue AG continues to work hard with numerous international manufacturers, and is now the exclusive home of European brands such as ILGI tillage machines and Donder spreaders. Both have proved to be a very popular throughout Australia, by offering high quality at a fraction of the price of their competitors. OzValue AG always delivering great... Performance. Purpose. Price.